There is a section of basketball fans who don't focus on the college game. For them, we frequently asked questions. It’s March, which means it’s time for everyone to forget the NBA exists again. In the coming weeks, all attention will be turned to the annual NCAA tournament, an event that seems to capture the attention of every single person living in the United States, even if they know absolutely nothing about it. If you’re an NBA junkie, that may be you. You’ve spent so much time trying to assess the Cavaliers’ title chances, the future of Kevin Durant, and the possibility that Stephen Curry arrived to the NBA from a spaceship that you’ve completely ignored the next generation of NBA players who are currently in college. Now, it’s time to cram for the Big Dance. After all, you’ve got to fit in, right? Here’s a Frequently Asked Questions of sorts to help you comprehend the madness. When does Ben Simmons play? Sorry, Ben Simmons’s LSU Tigers aren’t in the NCAA tournament this year. The school missed out on the tournament and decided to forego the postseason after finishing 19–14 on the year and getting smoked by Texas A&M in the SEC tournament semifinals, 71–38. So who else is worth watching? If you like Russell Westbrook, then you’ll probably love Providence’s Kris Dunn. He’s one of the best guards in the country because of his quickness and ability to create looks for teammates. He’s also got great size and pulled down almost 5.5 rebounds per game this season. The Friars will draw USC in the first round as the No. 9 seed in the East, and could make a quick exit with North Carolina looming in the next round. If you’re looking for someone who might be playing on a Final Four team, then Oklahoma’s Buddy Hield is your guy. He’s a pro-ready player with incredible scoring ability and leadership as a senior. He might start a game 0–9 and wind up scoring 25 points with an incredible final eight minutes. He’s also a well-rounded shot-maker. ​Who’s one guy that could really improve his draft stock? By watching him play, you’d think St. Joe’s junior DeAndre Bembry is a sure-fire first-round pick. Well, he’s not. Bembry is projected to go anywhere from the middle of the second round to undrafted. In fact, he's listed as one of SI’s NBA sleepers. He’s bouncy, he’s a good shot-creator, and he’s an excellent passer. If he performs well in the second round against Oregon, the Hawks could pull an upset. At the very least, Bembry will get some good exposure. If you think I’m certifiably nuts, which wouldn’t be news to me, Maryland’s Diamond Stone is another guy who could be a candidate to rise. Center isn’t a terribly deep position in this class, and the Terrapins are poised to make a run to the Sweet 16. Stone, who is included in our current draft big board, could prove a lot to scouts. ​Is Florida Gulf Coast still a thing? You bet! They’re a 16 seed, and probably an even bigger long-shot than they were in 2013, when they made a Sweet 16 run as a 15 seed. All of the players from that group are gone, as is the coach, Andy Enfield, who is currently at USC. Joe Dooley, a former Kansas assistant, now leads the Eagles. Are we finally past all the Plumlees? Nope. Duke’s now got Marshall Plumlee, but he’s the last of the three brothers, who all played for the Blue Devils. Which tournament team will, in accordance with my delicate, NBA-honed sensibilities, make me least want to claw my eyes out? Michigan State is the easy answer here—they’re well-coached and disciplined on both sides of the ball, plus they have one of the best players in the country in Denzel Valentine. Other than the Spartans, your eyes will be safe if they’re fixed on either Arizona and Dayton; the Miller brothers are fantastic coaches. Given the lack of pro prospects, is there any reason I should make time to watch Kansas? Two words: Wayne Selden. He’s electrifying, and very developed from a physical standpoint for a 21-year-old junior. He’s likely one of those great college players who falls to the second round of the draft and spends time in the D-League, but that shouldn’t stop you from enjoying him this March. He can dunk and his uncle is an incredible hype man. Who’s a sleeper I should have my eye on? The aforementioned Arizona Wildcats, as a No. 6 seed, could make a run in this tournament, given the mess of a region they’re playing in. With a great coach, good post play, and an outside scorer in Allonzo Trier, this team could make a lot of noise. Keep an eye on Ryan Anderson—completely different from that Ryan Anderson—who has an incredibly high motor and has willed the team to several victories. They’re very Spurs-ian; they’ve always been there in March under Sean Miller, and play very sound basketball. ​Should I look out for those pesky VCU Rams and coach Shaka Smart again? Kind of. VCU is pretty talented as far as No. 10 seeds go, and could draw a fun second-round matchup with Oklahoma if they upset No. 7 Oregon State in the first round. 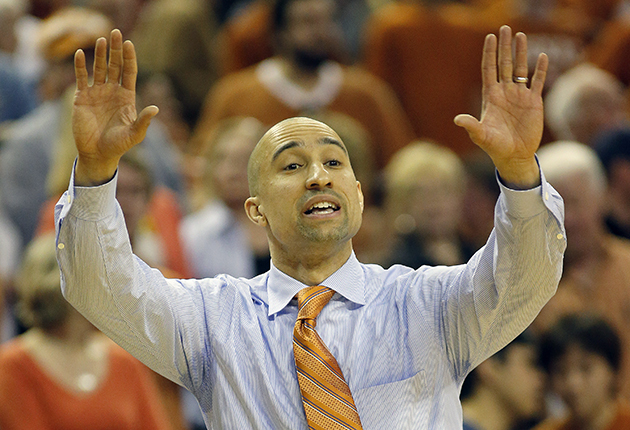 As for Smart, he’s in the tournament, too—with the Texas Longhorns. In his first year on campus, he’s led the basketball team to a 20–12 record and a No. 6 seed in the West. If things get wild, Texas and VCU could meet in the Sweet 16. But that’s not likely. Will any of my favorite NBA announcers and analysts be working the tournament? Yes! As a matter of fact, almost all of them will. Marv Albert, Brian Anderson and Kevin Harlan will all call games, and the Inside the NBA crew has been transformed into a group of NCAA pundits. Get ready to see Ernie, Kenny and Chuck on your televisions. Who will my friends bet me isn’t still in college? It seems like Kansas’s Perry Ellis and Wichita State’s Ron Baker and Fred VanVleet were in school for the advent of the three-point line. Well, they’re still playing, and they’ll be involved this March.